to the past and to the natural world. SOAR (“Studying Ornithology At Renfrew”) is now virtually year-round! First and third Saturday summer, fall and winter bird walks began on June 16! 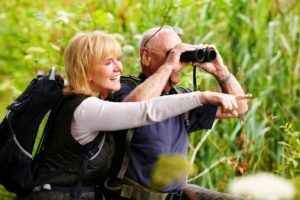 Birding enthusiasts Sharon and Larry Williams of Waynesboro will lead the walks along the hiking trails at Renfrew Park throughout the summer, and continue in the fall and winter this year. Walks begin at Renfrew’s lower parking lot off Welty Road. Participants should wear comfortable walking shoes and may bring identification books and binoculars. Free and open to the public. Note: Our regular spring weekly bird walks with naturalist, Jack Olszewski begin on the first Saturday in April and run weekly through April and May. For more information call 717-762-0373 or email us at info@renfrewinstitute.org. What’s Up With the Chesapeake Bay? Copyright © 2017 Renfrew Institute. Web development by CermakTech.com.